Moving can be one of the most stressful events someone will go through. With thorough planning and a professional company like White Glove, your move can be simplified and made much less stressful. We know there are so many decisions to make and details to remember when planning a move. 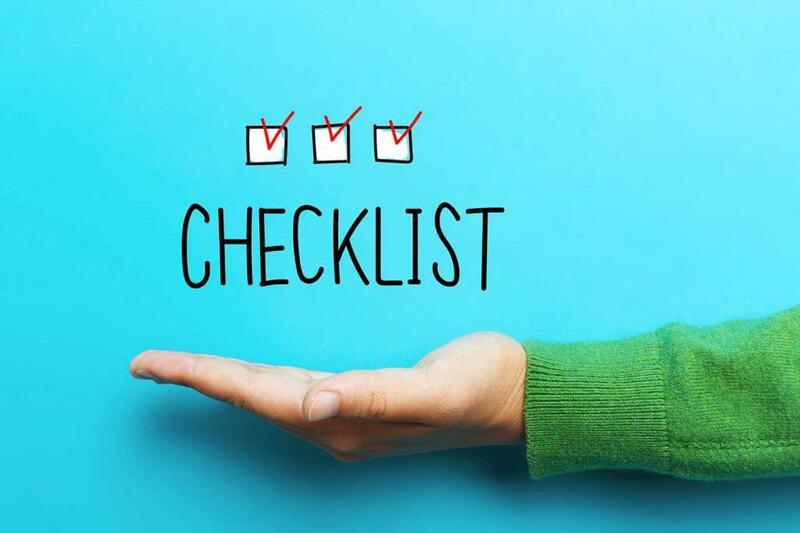 The following checklist will help you to get and stay organized through the duration of your move. Ideally, move planning should begin 6-8 weeks ahead of the actual move date. With all the variable in selling/buying a home or finding a rental, this is not always the case. If you have any questions regarding the process, feel free to reach out to one of our professionals at 800-340-1911 or by emailing us by going here. There is also a printable file attached for your convenience. Begin to take inventory of your possessions. Keep in mind the size of home/apartment you are moving to (if you are downsizing know you may have to sort through things to get rid of/donate). Making a few drawing of a furniture plan for the new home can help you figure out what you will have space for. Organize all of your important documents (passports, birth certificates, deeds, insurance paperwork, leases etc.) by putting them together in a secure location. Notify any doctors / veterinarians of the move if the move requires you find a new one. In doing so, have the doctors forward medical records to the new doctor. The same goes for any schools and school records for any members of your family. You will want to begin enrollment services at the new school if you are switching districts. If you need any storage in conjunction with your new home, now is also the time to start making arrangements for that. Keep in mind White Glove offers a number of storage solutions, so feel free to contact us with questions. Call a moving company (Preferable White Glove) and arrange for an estimate. After thorough investigation and thought, schedule that moving company. Contact homeowner’s insurance/rental insurance agency to go over changes in policy. Plan and have a yard/garage sale to begin to sort through the belonging that you plan to not take. Contact donation companies about picking up furniture you are looking to get rid of. Most of them will pick up the furniture free of charge. If you are purchasing or moving appliances, schedule a service firm for moving day to prepare appliances for the move. Arrange for Locksmith to change locks of new home. Don’t forget to bring back those library books! Confirm utility installation and start dates for new home. Pack everything you can go without until you are in your new home. Confirm move date with your mover. Keep working on that packing! You’re almost there! Pack 1 or 2 “Open Immediately” boxes with items like prescriptions, hygiene items, sheets for the bed etc. so you won’t have to be searching through boxes to find what you need. Pack the last of your items. Kick your feet up, order a pizza and be proud you made it this far, only 1 more day to go! When the movers arrive, you will want to do a walk-through with the foreman (leader). Let the movers do what they do best, and walk around the home. They may look for additional instructions as to where certain things will go. When everything is out of the home, do another walk-through to make sure everything has been taken out. Make sure to check closets, attics, basements and anywhere things could easily be overlooked. Perform walk-through of new residence before movers begin to bring your items in. It helps here to have a little help from family to direct the movers in setting up and arranging the furniture. Inspect boxes, furniture and residence for any damage. Make sure to have the foreman take not of it. Start to unpack and enjoy your new home! Would you like this emailed to you?